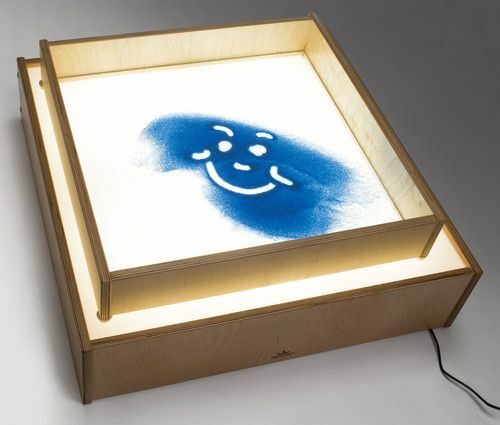 Place the Sand Box atop a light table at least 24" square (sold separately) and watch the fun begin! 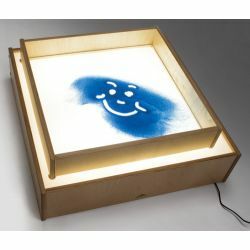 Constructed in beautiful, durable birch laminate in safe, non-toxic natural UV finish. GREENGUARD ® Gold Certified. Made in USA. Lifetime warranty. 20 1⁄4"L x 20 1⁄4"W x 3.9"H. Additional shipping charges apply.